Most of you may know that Dec. 16, 2018 was the day that the new elected Lincoln County officials were sworn in. Three new officials and four officials returning for second terms were sworn in to welcome the beginning of a new year and a new start. “I am excited about the new elected officials and the officials that have been selected county wide. It is always an honor to swear the elected officials in,” said Superior Court Judge Matthew J. Cuffe. Among those sworn in was Robin Benson, who was reelected for a second term as the Clerk and Recorder. Benson took the time to sit down with me and tell The Montanian about the goals her office has for 2019. “I am genuinely honored and grateful to the public to serve another term as Clerk and Recorder,” said Benson. The clerk and recorder’s office helps to find, locate and retrieve documents in accordance to state law, for the public. In short, they are the records keeper for important documents. When asked what one of her office’s goals was for 2019, Benson said that their office’s goal was ongoing as they have been making massive improvements to their records management over time and they wish to wrap it up in 2019. They should have everything scanned into the system in the near future. Then, the goal will be to maintain a level of storage of records that are easily retrievable to the public, as the office is conducting a nonstop inventory. “We have been organizing the records for the last three years and it is a complete turnaround. The office now has everything scanned in back to 1893, when we were still Flathead County,” said Records Manager, Chris Nelson. “Laserfiche Software, the new system that they have implemented, is key word searchable, and this saves a massive amount of time for both employees and the public,” Nelson said. Thank you to the Clerk and Recorders office for helping to keep us organized. May good things come of 2019 as the year brings snow and promise of more sunshine to us all. 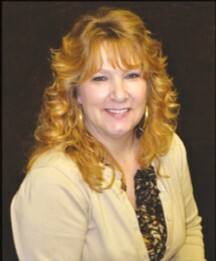 Photo of Robin Benson, Lincoln County Clerk and Recorder courtesy of Robin Benson. Due to Satellite and program changes beyond our control we had to make some channel changes. The five channels listed carry new programs. You may have to rescan your TV to update the channels. We hope you enjoy these new stations. With the changes that are occurring you may see some pixilating from time to time. We work hard to correct these issues as they arise. There will be more changes this spring when KREM, KHQ and KAYU become unavailable. These are network channels out of Spokane. We hope to replace these channels with new programing. We want to take the time to thank all of our current supporters and new supporters for your generosity which is keeping us on your air. Libby Video Club is a 501(c)3 non-profit organization and as we upgrade your broadcasting, your donations are vital. Donations can be mailed to Libby Video Club, PO Box 977, Libby MT., 59923 or can be dropped off at 1st Montana Bank, Glacier Bank or Lincoln County Credit Union. If you have any questions, please email us at LibbyVideoClub@outlook.com.